Bisphosphonates (also called diphosphonates) are members of a class of drugs that inhibit osteoclast action and the resorption of bone used in the prevention and treatment of osteoporosis, osteitis deformans (“Paget’s disease of bone”), bone metastasis (with or without hypercalcemia), multiple myeloma, and other conditions that feature bone fragility. 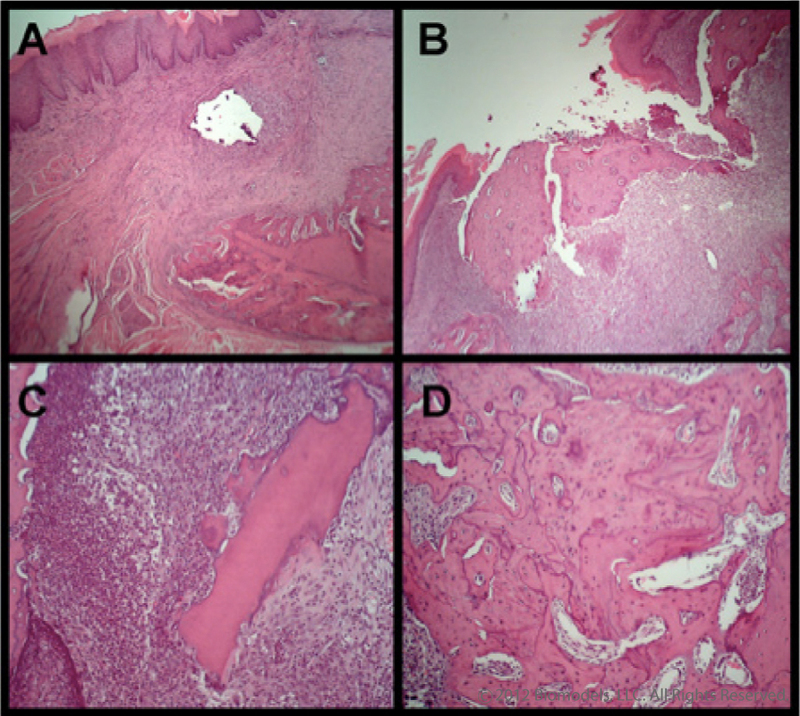 Following initial reports in 2002, osteonecrosis of the jaw (ONJ) has evolved into a recognized adverse event associated with infused bisphosphonates (nitrogen containing) in the oncology population. While the precise incidence of the condition remains to be defined, a recent report places it at ~8%. There is currently no predictable treatment for ONJ. Since bisphosphonates are also used to treat osteoporosis, it is possible that additional patient populations may be at risk for ONJ. Studies of the natural history, pathogenesis, and risk determination have been limited by the need for human material and the absence of clinical predictability. In an effort to overcome this constraint, we initiated studies to develop an animal model that mimicked the clinical condition. 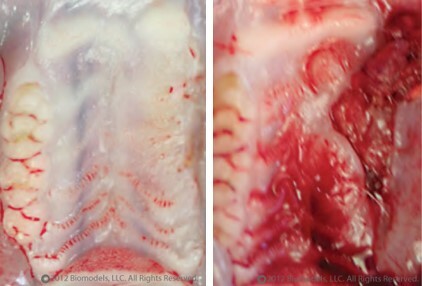 In proof of concept studies, we were able to induce ONJ in rats following a course of dental extractions coupled with zoledronate and dexamethasone. ONJ is evaluated by direct observation of the wound site, X-ray densitometry to evaluate bone density, routine histology and specific analysis of markers like TRAP.